Welcome to our Family website - use the page links on the left. Here you will see our log home construction(8/2001 - 5/2002) and the people that helped. You also will see stuff related to our family and friends, children, neat events, and whatever else may find it's way onto this website. Content is kept up to date - mostly, some old stuff is also neat to see for laughs! 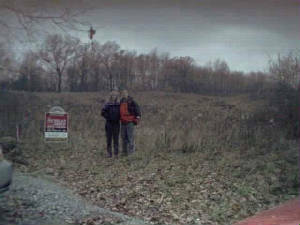 We started the hunt for property in March of 2000. 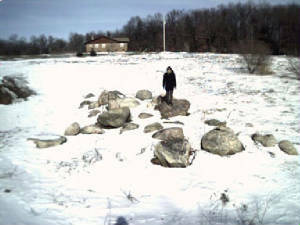 On November 27, 2000 we purchase two acres of land in Hartland. 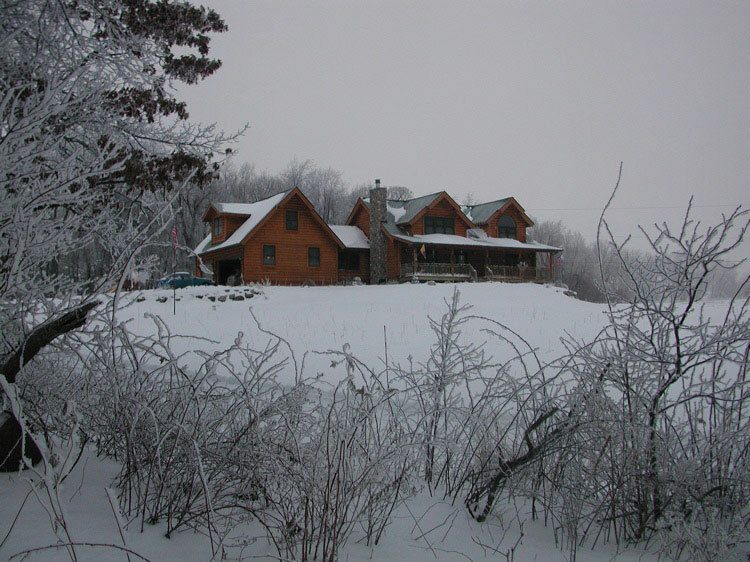 At the end of December 2000 we signed a contract with Heritage Log Homes (John Kacik ) for our log home package. 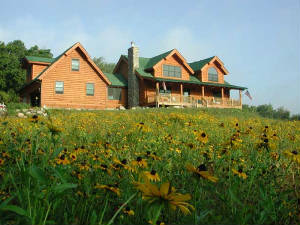 After Mike revised the drawings 3 times , Sherwood Forest Log Homes (Chris Sherwood ) broke ground August 6, 2001. 9 1/2 months later our home was featured in The 2002 Livingston Calvacade of Homes, then we moved in with lot's of help from family on Memorial day, May, 2002. 2.2 acres of Mud! Planted wild flowers in the front with a small grass zone. For 2002 the back was just weeds. 2003 we hydroseeded the back and planted 6 blue spruce pine and 4 white pine trees out front, did the front brickpaver path. 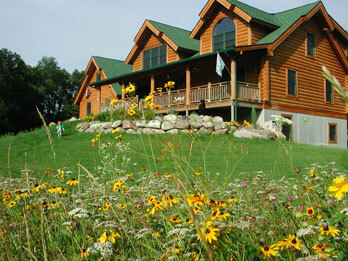 2004 consists of additional outdoor landscaping, 2005 & 2006 were complete re-staining the outside logs. 2005 thru 2007 finishing the basement with a 4th bedroom, 3rd full bath, craft room, entertainment room, and huge play room for our children. Our house has an open area that consist of the living room, dining room( under a cathedral ceiling) and the kitchen. -Back patio: include a hottub, so bring your suit or go natural! -Master bedroom and bath on the second floor. 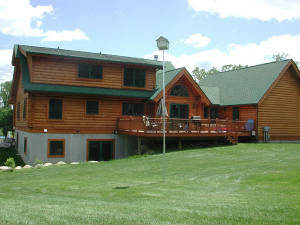 -Walkout basement, which Mike is finishing summer 2007.